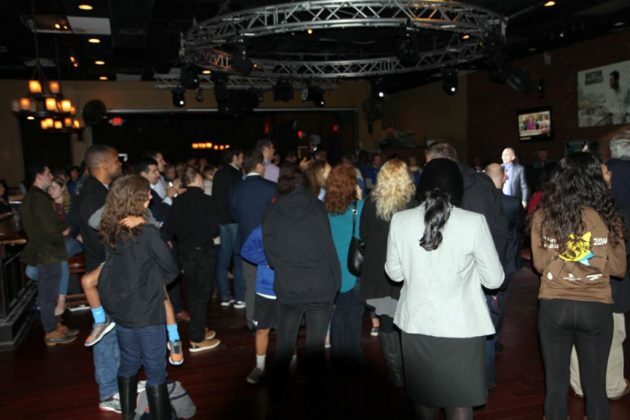 (Updated 9:50 p.m.) Arlington Democrats celebrated a triumphant election night for its candidates for Arlington County Board and School Board, as well as all members of the state-level Democratic ticket. With all precincts reporting, Democratic nominee Erik Gutshall won the race for County Board with 62.82 percent of the vote. Monique O’Grady, the Arlington County Democratic Committee’s endorsee for School Board, took 70.56 percent. Gutshall took 46,319 votes, ahead of independent Audrey Clement with 17,415 and fellow independent Charles McCullough‘s 8,753. O’Grady won 50,677 votes, ahead of Mike Webb with 12,642 and Alison Dough with 7,271 to succeed James Lander. In the races for governor, lieutenant governor and attorney general, the Democratic candidates all won Arlington County’s 55 precincts by big margins to help deliver what looked set to be a clean sweep for the party in Virginia. Governor-Elect Ralph Northam (D) took 68,315 votes in Arlington, ahead of Republican Ed Gillespie with 16,160. Justin Fairfax (D) garnered 66,687 votes in Arlington in the race for lieutenant governor ahead of state Sen. Jill Vogel’s 17,594, and Attorney General Mark Herring (D) won re-election with 67,111 votes ahead of John Adams’ 17,366 votes. At the ACDC’s watch party at The Salsa Room on Columbia Pike, great cheers went up when the television networks projected Northam as the winner, as more than 100 attendees celebrated Democrats’ triumph across Virginia. Gutshall said he was “very grateful” to win, and said he enjoyed hearing from residents as he vied for retiring Board chair Jay Fisette’s seat. O’Grady said the campaign was a “humbling” experience, and said she intends to put the work in now to hit the ground running in January when she is officially sworn in. ACDC chair Kip Malinosky said it was rewarding to see so many people step up to volunteer in Arlington to help get out the vote. The county’s Elections Office said final turnout was 55 percent, the highest for a gubernatorial race since 1993. 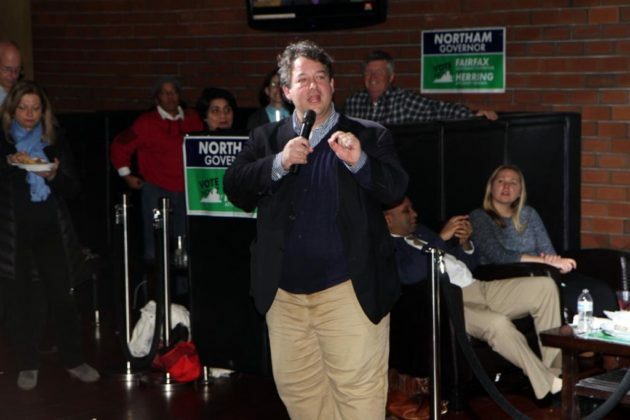 With three of the county’s four members of the Virginia House of Delegates running unopposed, it was a relatively sedate affair for Dels. Patrick Hope, Mark Levine and Rip Sullivan in Districts 47, 45 and 48, respectively, as all won more than 90 percent of the vote in their districts. Del. Alfonso Lopez (D-49) was the only one to face a re-election challenge, from Republican Adam Roosevelt. 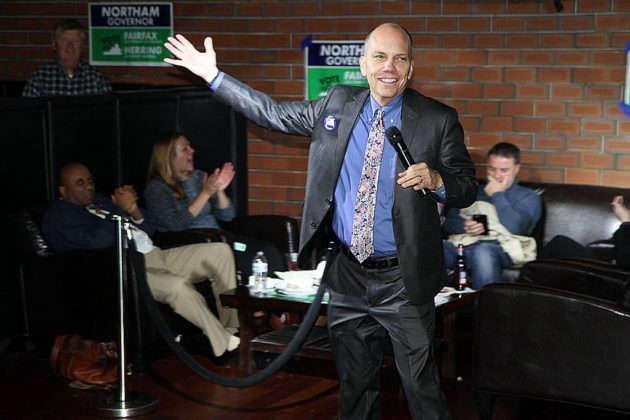 But with all precincts reporting, Lopez won 18,536 votes to Roosevelt’s 4,202 in a district that includes neighborhoods along Columbia Pike, around Pentagon City and west to Bailey’s Crossroads and Seven Corners in Fairfax County. 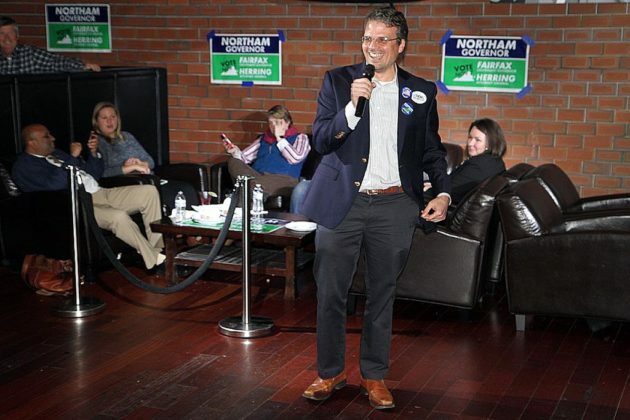 Elsewhere, Democrats were on track to make significant gains in the House of Delegates, and Lopez said it will mean progress on a variety of issues the party’s followers hold dear. 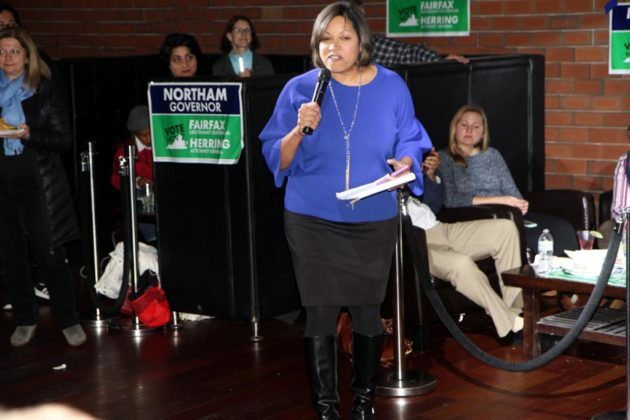 “Everything we care about, every value we care about, every issue we cherish, it can start to happen: Sensible gun violence prevention legislation, passing Medicaid reform, dealing with how we fund our schools, actually protecting the environment in Virginia,” Lopez said in a speech. Clement, who has run for office in Arlington unsuccessfully seven times, said she is open to running for election again. 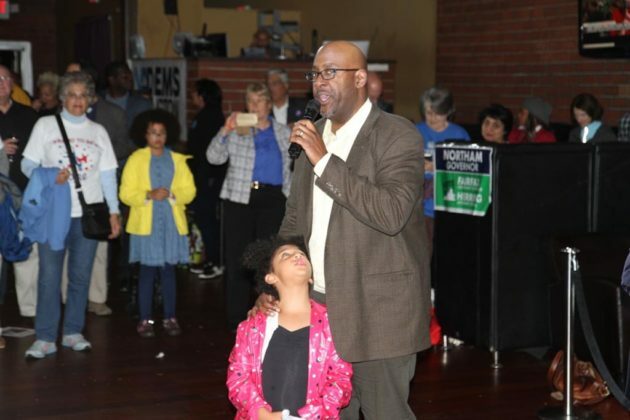 But in an interview after results were counted, she said she is reluctant to challenge County Board member John Vihstadt (I), who faces re-election next year. “The board can expect that I’ll be there to remind them of that often because I am committed to staying involved and engaging with this wonderful community as it tackles the big issues ahead,” McCullough wrote.